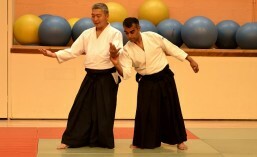 There is a monthly seminar in Coventry given by Shihan Burgess, on the second Saturday of the month. Transport is arranged by the club from London. This seminar is open to all.